Mid April is time to begin another season of wildflower hunting in St.Lawrence County, NY. A short hike through the woods along the Grasse River near Morley today was rewarding. 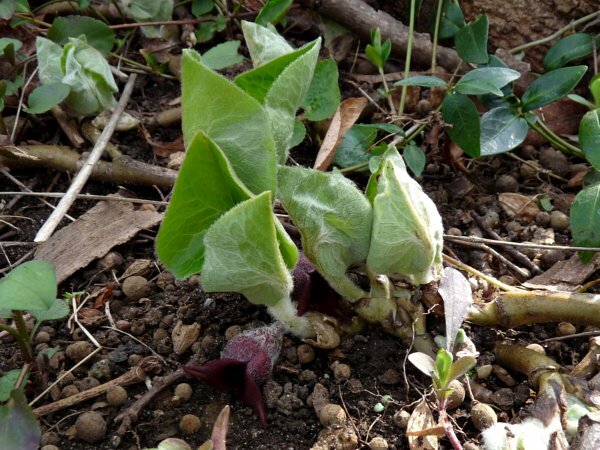 The hairy ginger flowers hug the ground as the leaves begin to unfold. Looking into the mouth of the beast reminds me of the Kraken in Pirates of the Caribbean. Small clusters like this one were scattered throughout the woods. 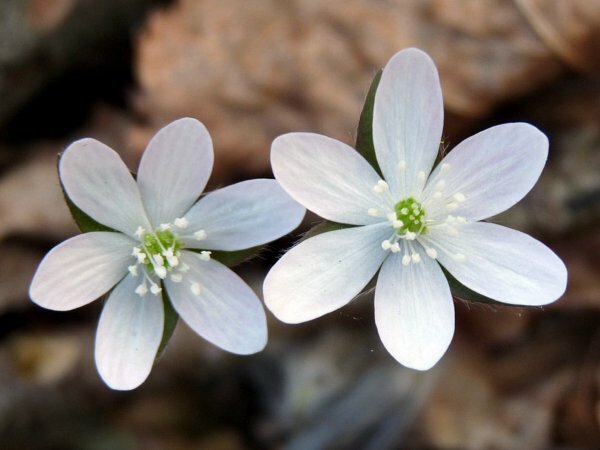 The white flowers usually have 6 to 10 petals. 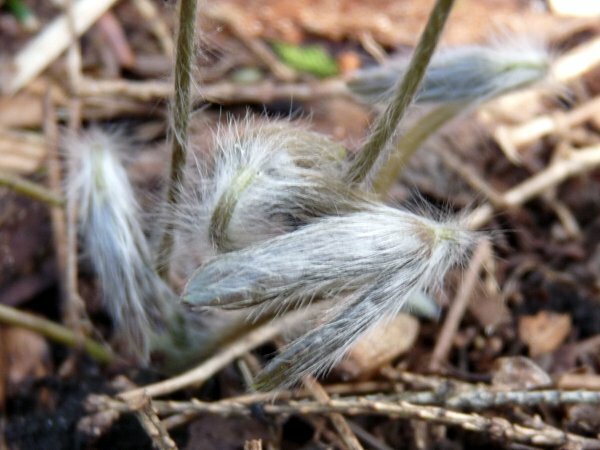 The leaves are odd fuzzy looking things before they unfold. 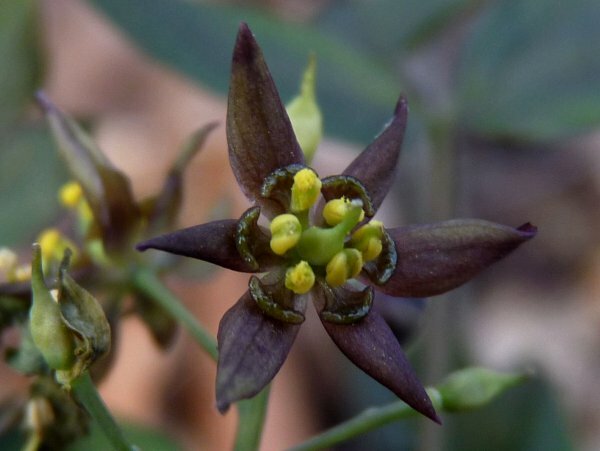 Blue Cohosh is one of the stranger looking woodland wildflowers out back. It’s been almost a month and there are still Spring Beauties in bloom. These are one of my favorite wildflowers so don’t hold it against me for posting another photo of one. Bloodroot bloomed along the river bank at the edge of the woods. Lovely. 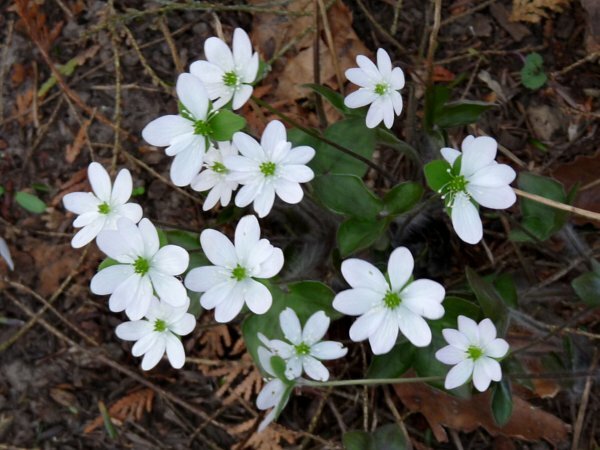 I am trying once again to grow hepatica here on my central Ohio property. There were none in the woods when we came here, and I have never succeeded in getting them. 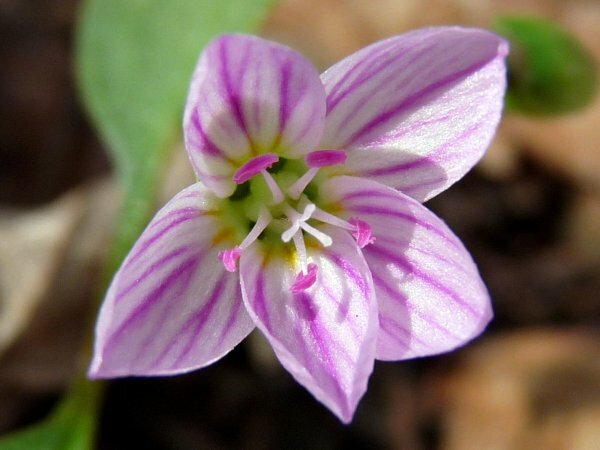 There were dogtooth violets, ginger, trillium, bloodroot, phlox divericata, violets, Jack in Pulpit, toothwort, spring beauties. Not many left because a right of way was sold and some fallen trees brought in too much sun. Our early heat has brought most of these on already–bloodroot in my wild garden is over. You are winning the wildflower race. I’ve seen just one spring beauty as of today. 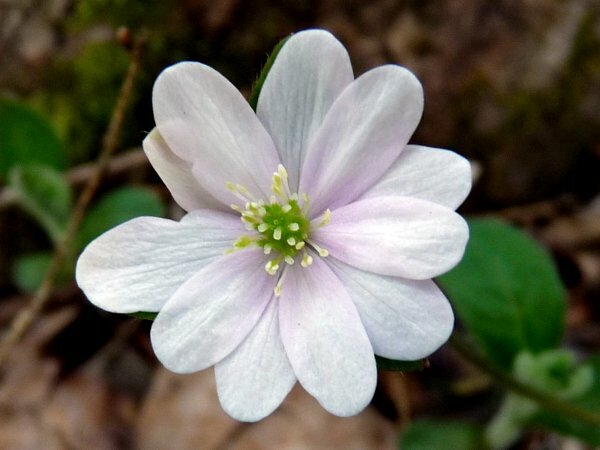 My round lobed hepatica is still keeping me waiting. Of course some * ! # critter ate all over wintered leaves. What are the brown round balls at the base of the ginger plant? 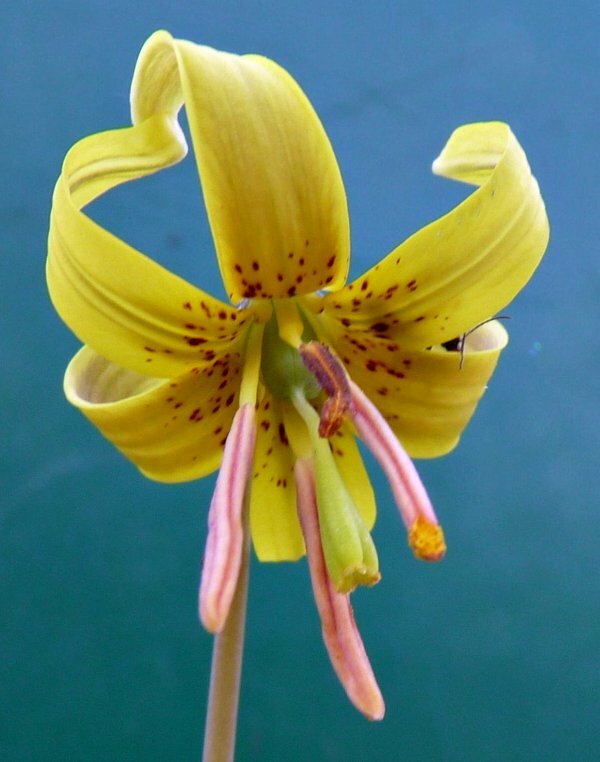 I love your peek-a-boo bug on the trout lily! Wonderful flowers on your walk. Bloodroot and trout lily are two of my favourites. Loved all your photos, especially mouth of the beast. There is something scary hiding in there. 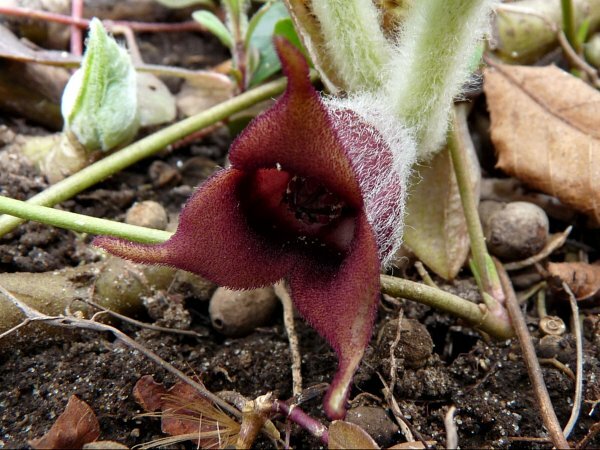 I don’t think I’ve ever seen anything quite like the wild ginger. The last three flowers are just beautiful. They are gorgeous .. 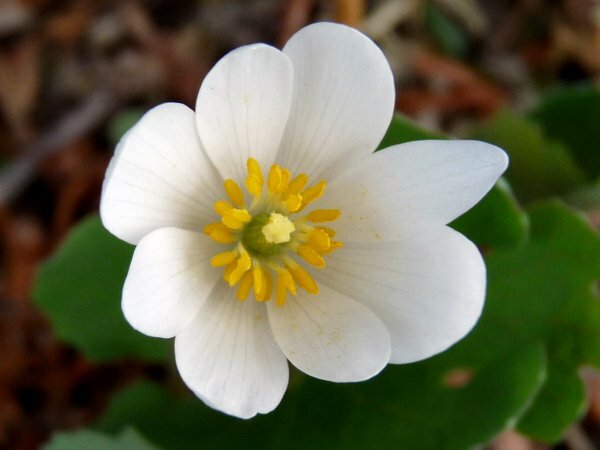 I love the Bloodroot .. even more the Double Bloodroot is amazing. Wildflowers are just perfect all round aren’t they ?